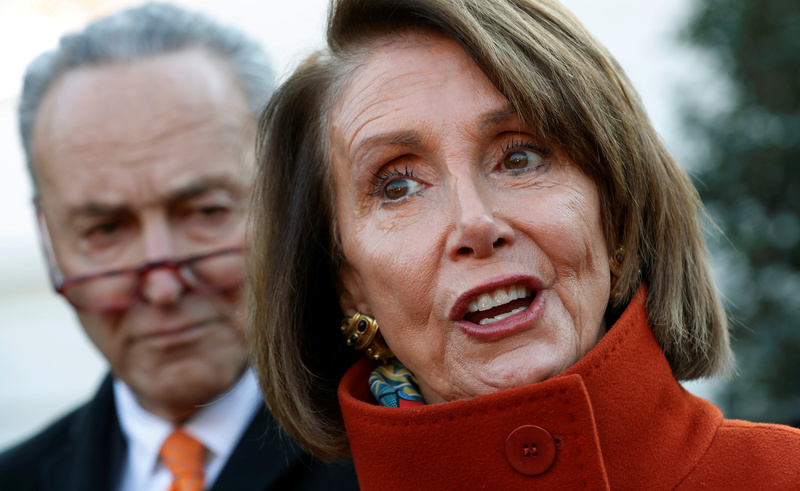 President Donald Trump criticized congressional Democrats for obstructing his plans to fund a border wall while talking to reporters Wednesday. Senate Minority Leader Chuck Schumer (D-NY) listens to House Speaker designate Nancy Pelosi (D-CA) speak to reporters after their meeting with U.S. President Donald Trump at the White House in Washington, U.S., December 11, 2018. REUTERS/Kevin Lamarque. Trump then critiqued the idea that drone surveillance could substitute a wall. Trump also hit Senator-elect Mitt Romney for not being a “team player” upon his arrival in Washington and mused that outgoing Arizona Sen. Jef Flake may get work for CNN. “So Jeff Flake is now selling real estate, or whatever he’s doing. He’ll probably go to work for CNN. That’s my prediction,” Trump said.